Long weekends like President's Day can woo us to long flights to the sunshine. And to be in good form for the flight and your vacay, getting your zen on can get you in the right frame to handle the most primal of human settings: the airport gate waiting area. Below are a few simple moves that can be achieved with your travel essentials, including your phone and your luggage. While you're crafting your last #hashtag before boarding, make a gentle back arch, chin uplifted at a 30° angle, arms gently curved in half circles, holding your phone screen towards your face. Taking a wide stance, bend your right knee, with your right foot pointed outward, and lengthen your left leg, with the left foot pointing forward. 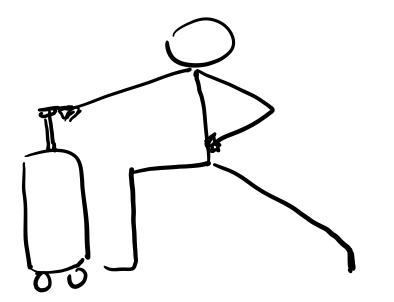 Use your roller luggage handle to stabilize. 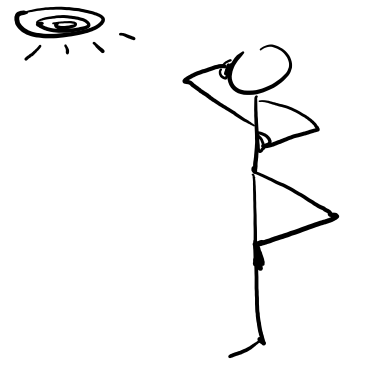 As you desperately crane to listen to sporadic announcements - in case they are for your flight - take a moment to re-center by balancing on one foot, one hand cupped to ear and one hand in prayer position. While waiting to board the plane, take a wider then hip distance stance. Place your hands slightly above your hips, and breath deep. This may deter antsy travelers vying for overhead space from edging in front of you. 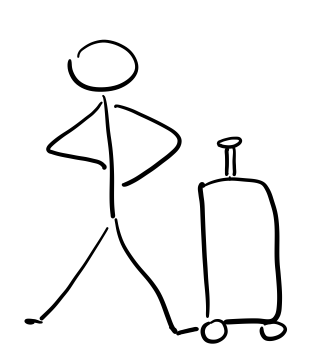 Move forward at a regular pace, trusting that line-cutters will experience bad karma from observant flight attendants. As the stewardess offers you a snack, accept with the outside hand (the one closest to the window), giving you an opportunity to rotate your torso and have a cross-body arm stretch. So remember before you board, to take each waiting opportunity to get that blood flowing and expand outward before you crunch into an economy seat.